In this episode we interview Craig Cody, a former New York City Police Lieutenant and currently a Certified Tax Coach and founder of Craig Cody & Company. Craig shares his journey from a law enforcement career to his current CPA practice. Craig is a Certified Tax Coach, Certified Public Accountant, Business Owner and Former New York City Police Officer with 17 years experience on the Force. Craig is the founder of Craig Cody & Company. In addition to being a Certified Public Accountant for the past 15 years, he is also a Certified Tax Coach. 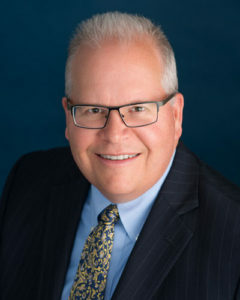 As a Certified Tax Coach, Craig belongs to a select group of tax practitioners throughout the country who undergo extensive training and continued education on various tax planning techniques and strategies to become, as well as remain, certified. With this organization, Craig has co-authored an Amazon best seller book, “Secrets of a Tax-Free Life”.